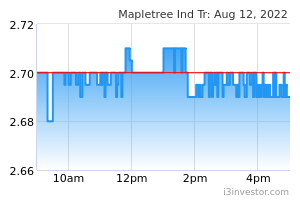 Mapletree Industrial Trust is a real estate investment trust (“REIT”) listed on the Main Board of Singapore Exchange. Its principal investment strategy is to invest in a diversified portfolio of income-producing real estate used primarily for industrial purposes in Singapore, and income-producing real estate used primarily as data centres worldwide beyond Singapore, as well as real estate-related assets. MIT’s property portfolio comprises 85 industrial properties in Singapore and 14 data centres in the US (40.0% interest through the joint venture with Mapletree Investments Pte Ltd). The properties in Singapore include Flatted Factories, Hi-Tech Buildings, Business Park Buildings, Stack-up/Ramp-up Buildings and Light Industrial Buildings. As at 31 December 2017, MIT’s total assets under management was S$4.2 billion. 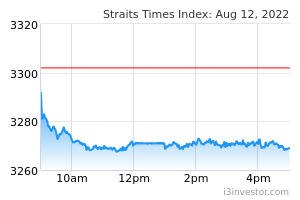 MIT is managed by Mapletree Industrial Trust Management Ltd. and sponsored by Mapletree Investments Pte Ltd.
burungkaka why this share price keep on dropping recently?